The electronic cigarette industry is currently at the centre of a dramatic shift both in law making and in public opinion. The health facts surrounding the vaping industry are generally becoming more well known and as a consequence, many vaping companies are seeing a dramatic increase in sales. This includes vape devices such as the shisha pen, vape pens vaporizers and sub ohm vape mod devices. We sat down with three leading e-cigarette companies to find out how they experienced the changes in the industry over the past couple of years and what they expect from the future. 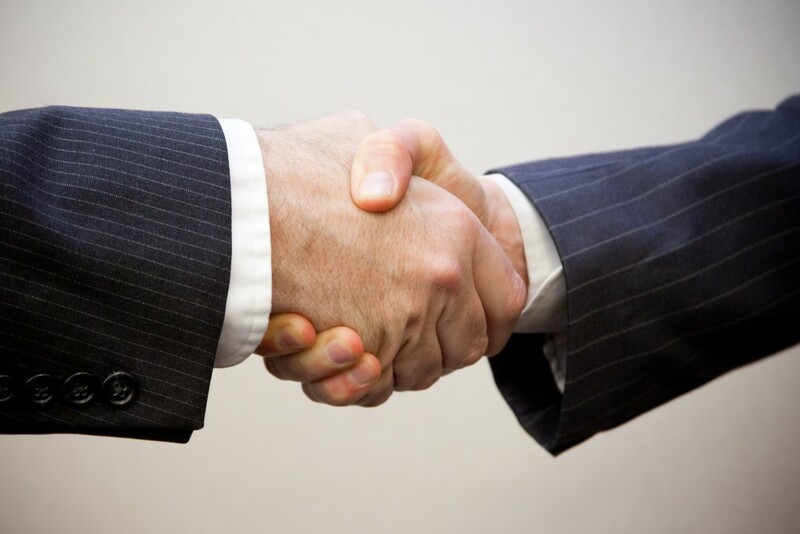 What was it that initially interested you in the e-cigarette industry? We were actually running an online marketing agency when one of the big cig-a-like companies asked us to get them to the top spot on the search results. We managed this within 3 months but in doing so had we obviously had to get to know the products… we were smokers at the time. So it was through business that we discovered vaping and began to ditch the fags. As time progressed so did our love of vaping and the industry surrounding it – and we realised we had the potential to bring something to the market that nobody else had. So we bit the bullet and dived in. We haven’t looked back once! It’s incredibly rare that you get an opportunity to join such a fast-growing industry that you are not only passionate about, but is also providing a genuine benefit to the customers. Despite all the day to day stresses, when you do stop for a minute to think about how many hundreds of thousands of people who’s lives won’t be ending so soon due to tobacco – well it’s a very good feeling! 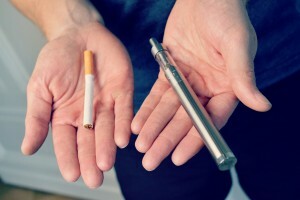 What attracted me was really just how clever the device was, and of course the potential in saving many lives by getting people to switch from normal cigarettes to e-cigarettes. Around 4 years ago one of our customers asked us to look at whether we could supply them a range of e-cigarettes, after being let down by one of the main brands in the market. We had already seen the product 3 years before this whilst visiting a trade show in China, however at that stage we hadn’t considered the product developed enough. After considerable due diligence and development, we launched our first range of e-cigarettes at the end of 2012. Constantly expanding, constantly changing, fluid and dynamic. The trends change almost as rapidly as the weather, but that’s part of the challenge and the excitement of being part of this young, innovative industry. There are a lot of companies who are scared of the possible impact that the upcoming regulations will have, but from my perspective it will only help to increase the number of smokers who will give vaping a try. The regulations are far from perfect and do need some revisions as soon as possible, but they will give consumers confidence in the quality of the products they can buy and the efficacy of them. It should really lead to a rapid increase in the number of smokers taking that first step. Our sales are increasing month on month, as more smokers are making the switch and after new TPD legislation comes in, we believe much more of the ‘fence sitters’ will move towards E-cigarettes and consequently a better future. We have seen continued growth in the market as a result of better consumer understanding and confidence. In your opinion, what percentages of your customers use e-cigarettes or vape pens as a tobacco substitute? Virtually 100%. There was a lot of conjecture about the ‘gateway’ effect, but it has never been substantiated with fact. In reality the facts show the opposite – there are an estimated 2.9 million vapers in the UK according to BBC News, but there are also 720,000 people who have switched from tobacco to vaping, and over time have also stopped vaping – so 720,000 people who now do not use nicotine in any form. The figures from ASH show just 0.2% of vapers were not formerly smokers – which would equate to about 4,400 at most. It doesn’t take a statistician to work out the trend here. Speaking to some of the customers who visit our VAPE stores, I would say a very high percentage. Some have the crafty cigarette now and then, but once they see how well the device works, without that awful cigarette smell. There really is no turning back. Through our own consumer research, we can say that approximately 85% of our customers no longer use tobacco products. Only around 15% use tobacco cigarettes occasionally, with a very small percentage still smoking cigarettes regularly whilst using our products alongside. 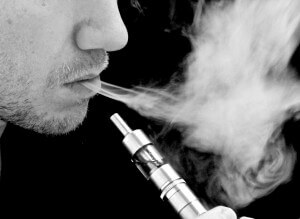 The BBC recently reported that e-cigarettes may become available on the NHS. How do you think this change will affect e-cigarette sales? Introducing more smokers to vaping can only be a good thing – both in terms of public health, and in term of product sales. If more smokers make the switch then there is a larger customer base, so naturally sales will increase across the board. IF e-cigs become available through the NHS it will not only increase sales for us, but also substantially affect the sales of tobacco in this country saving the NHS millions in the process. We don’t see it damaging our sales, we actually expect it to help growth by again creating confidence in the general market for e-cigarettes. Our OK starter kits are one of the best value in the market at £6 anyway so there isn’t as big a barrier for a consumer to try ours versus getting on the NHS. 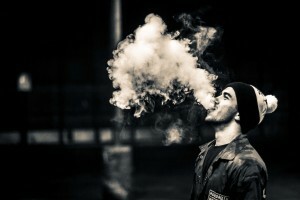 Do you think there is any way in which this change could benefit e-cigarette businesses? Of course! There are currently 2.2 million vapers in the UK, but there are still 8.8 million smokers. The more people that can be introduced to the benefits of switching and make the change then the bigger the pie becomes. Whether or not that pie gets shared into more slices or existing companies are able to get a bigger portion, it’s going to be fun finding out!! It will help to normalise vaping and open up the vaping market to smokers who were potentially unsure of benefits. I think that this will help the e-cigarettes market become more accepted and trusted by consumers. Having a name like the NHS backing the health benefits can really benefit the vaping community. Where do you see the e-cigarette industry in 5 years? In the UK, five years from now I believe we will see the number of vapers equalling or even overtaking the number of smokers. With the turnaround from Public Health England and the overriding scientific support for vaping over smoking, coupled with increased consumer confidence due to regulation and positive media coverage it is simply a matter of time before smoking becomes the little fish in this pond. By this point you’ll see big tobacco buying up a lot more vaping companies than they already are! In 5 years I would like to think the other 7-8million smokers – 50% of them will be using e cigarettes, especially with the industry being regulated. I see it substantially reducing the number of smokers in the UK, possibly half of all existing tobacco smokers.